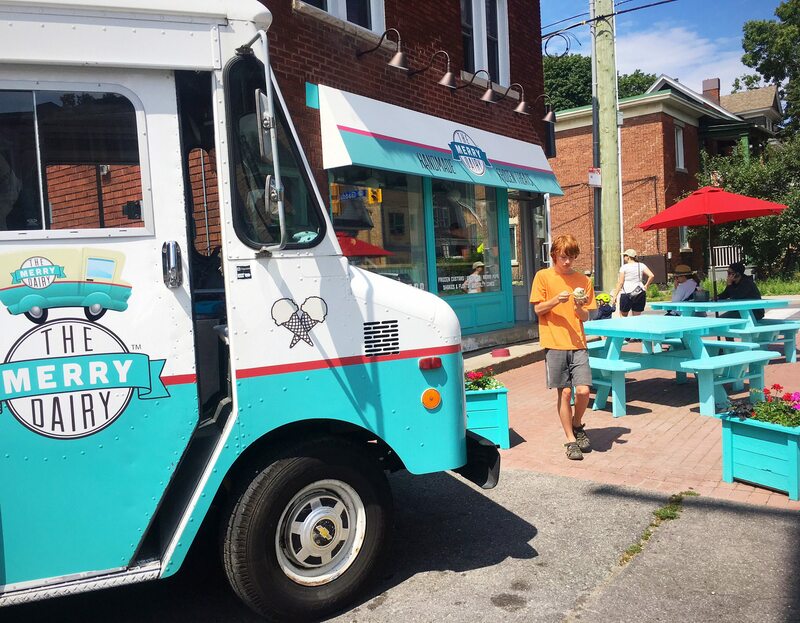 Kids and adults alike have been “tracking the truck” for a few years now — chasing The Merry Dairy truck to events around Ottawa for Marlene Haley’s signature soft-serve frozen custard cones. Now they also have the option of stopping by her new shop, knowing there will be ice cream there every day of the week. 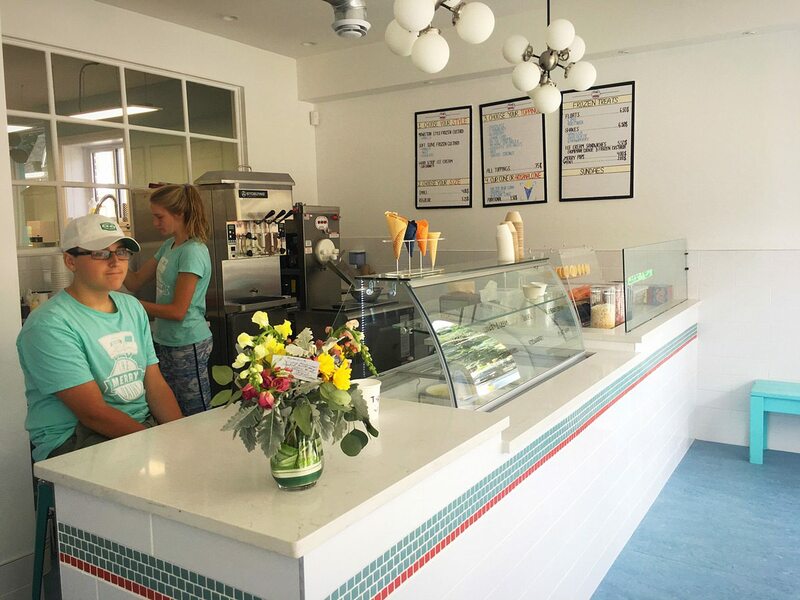 City Bites Insider caught up with the busy owner on a sunny long weekend to find out what’s in store for The Merry Dairy fans (and soon-to-be fans). Tell me about the timeline. We got access to the building in February, but I didn’t get a building permit till April. Once that happened, the renovations went pretty quickly. We were aiming for a July 1 opening, which was pretty ambitious, so I’m happy with August 2. Many people remember the building as the Fairmont Confectionery, which had been around forever. Any surprises renovating such an old building? Nothing too bad — the building has really good bones. It was interesting unearthing the layers of history. Because the old corner store was so well-known, it was really cool how many people stopped by to talk to the contractor, or sometimes to me, to share a bit of their personal history with the building. They might tell us about how they used to come to the corner store as a kid for ice cream or to pick up cigarettes for their big brother. It was the classic corner store! So people were really curious about what was coming next? They really wanted to know what was going on behind the paper in the windows. 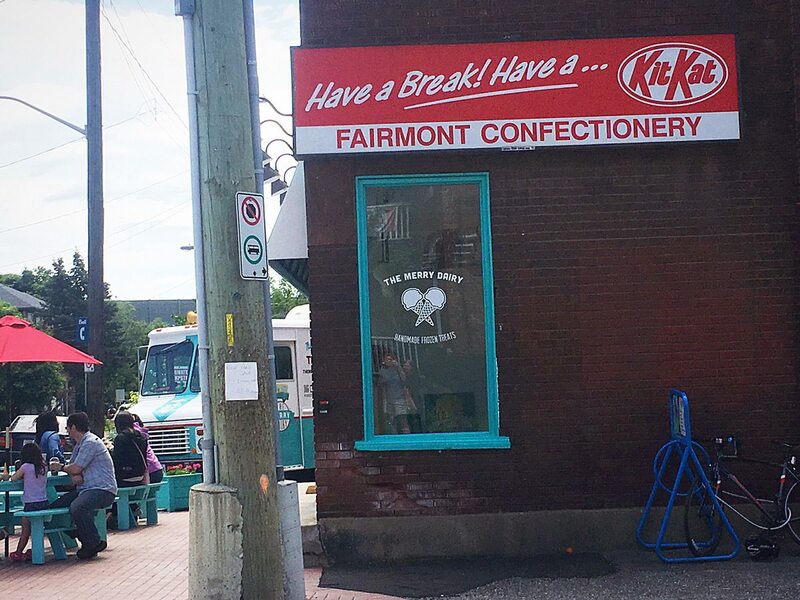 And sometimes people would just walk right into the renovation zone — the Fairmont Confectionery sign was still up, so they hadn’t clued in that it had closed. This isn’t just about having a storefront, though. Now everything happens in one spot. That’s right. I used to rent kitchen space in the east end, but now I have all my own equipment installed here. This allows me to make many more products and at higher volume. 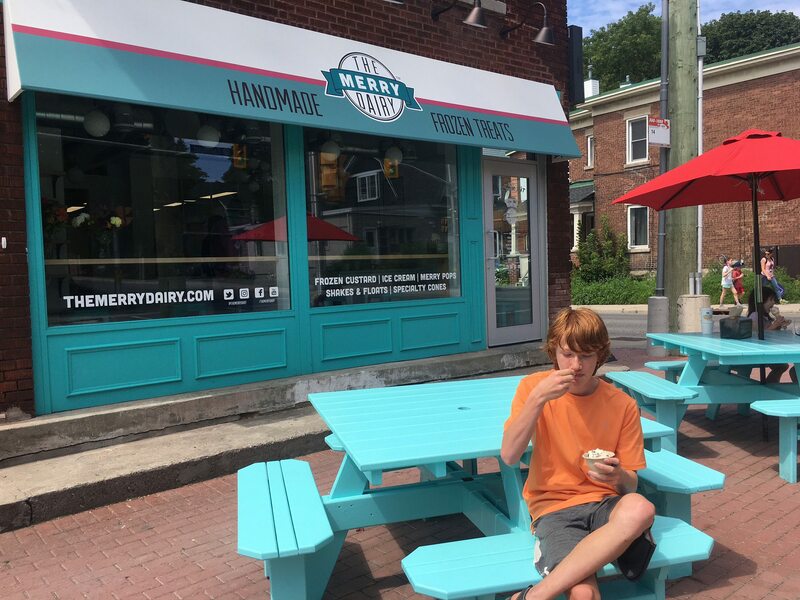 The front of the store is a scoop shop, but I have all my equipment in the back, so I can now make more flavours, more popsicles, and more ice cream sandwiches. People know us for our custard soft serve, but it was amazing how fast the ice cream sandwiches sold on those first few days open! So the sky’s the limit. I was limited by The Merry Dairy truck because there’s only so much space for a freezer. So, for some bigger events I’d only have room for soft serve — the ice cream mix and the cones. I couldn’t bring sandwiches or Merry Pops. What will you be stocking at the shop? We’ll have our traditional frozen custard machine, which customers can see. But we’ll also have a scoop freezer with eight flavours — I want to make the classics, but we’re just having fun experimenting. Last week, we made strawberry, cookies and cream, mint chocolate chip, bourbon vanilla. We’ve made a blueberry-lemon. We’re thinking about making peach. It’s just so much fun. And you mentioned you also have freezers. Yes, these are more help-yourself. They’re stocked with the Merry Pops, three kinds of ice cream sandwiches [made using cookies baked by Yummy Cookies], and pints of ice cream. Given that your ice cream making equipment must take up a lot of room, is there any sit-down space? We’ve got four seats and a stand-up counter, plus a couple of picnic tables outside. I want people to stop in, get a treat, and hang out on the corner with their friends. Putting up patio lights is on my to-do list! What’s most exciting about having a truck and a store? It’s just really fun to have a base, but still be able to take the truck out. A lot of people were worried that I wasn’t going to keep the truck, but I am. I’m looking forward to a food truck rally this weekend and I have a wedding coming up. The truck may become more focused on events than just driving around, but we’ll see.